Aureon is pleased to announce that Aureon Charity Grants have been awarded to five area organizations. 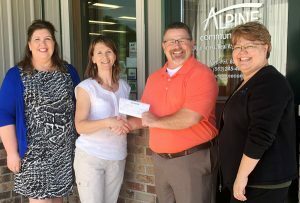 The grants were presented in conjunction with Alpine Communications who sponsored the grant application. 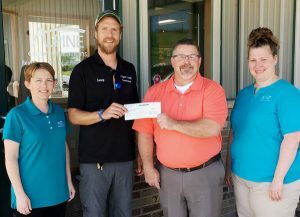 Upon reviewing an abundance of applications, the Aureon Charity Grant Committee delegated funds to projects committed to the betterment of local Iowa communities. Clayton County Conservation received a grant for $400.00 to help fund a new laptop, a ceiling projector, and projector mount. 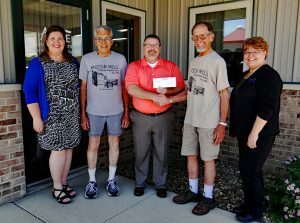 Aureon awarded Garnavillo Historical Society a $250.00 grant towards replacing light fixtures with LED lighting. 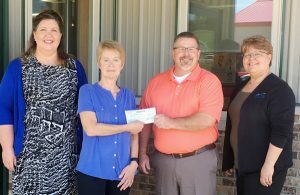 The Motor Mill Foundation of Clayton County was awarded $250.00 for assistance with replacing the chimney on the Cooperage. Aureon also awarded a grant for $400.00 to the McGregor-Marquette Center for the Arts which will aid in purchasing new office computers. $400.00 was granted to the Guttenberg Chamber of Commerce to buy a new laptop computer. 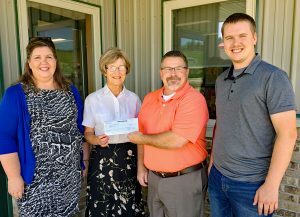 The Aureon Charity Grant Program was created in 1993 to increase service and support to rural independent telecommunications companies and the communities they serve. The Aureon Charity Grant Program awards grants on a quarterly basis. Over the course of twenty-five years, Aureon has donated over $950,000 to Iowa nonprofits through the grant program. To learn more, please contact Giving@Aureon.com.